Politicians are far more likely to back anti-trafficking measures that don’t disrupt prevailing power balances at home. That’s a major reason why so many interventions fail. 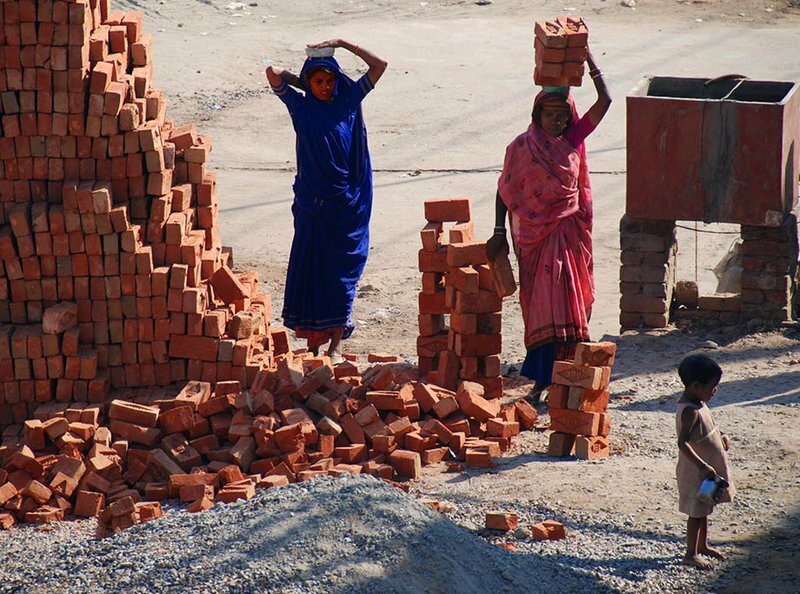 The International Labour Organisation’s Work in Freedom Programme (WIF)* seeks to reduce the vulnerability of migrant women to forced labour. It is a five-year programme operating in five countries in South Asia and the Middle East, and spans several, women-heavy sectors such as domestic and garment work. WIF is part of the global effort to achieve Target 8.7 of the sustainable development goals (SDGs), which focuses on forced labour and human trafficking, and falls within the larger aim of SDG 8 to “promote … decent work for all”. The WIF programme has sought to review, test, and document a variety of strategies and policies for their efficacy in areas with high migration outflows or inflows, and in the recruitment pathways linking both. The programme has furthermore engaged interested policy makers and stakeholders in reviewing different policy solutions that could reduce vulnerability to forced labour. These include but are not limited to policies, laws, and administrative practices around anti-trafficking, migration, skills development, recruitment, and labour. So far, we have found that policy makers show greater interest in tackling human trafficking and forced labour when doing so does not disrupt power relationships in which they have a direct stake. For example, policy makers in countries or cities of destination tend to support information campaigns designed to educate migrant workers about risks. This is especially true when the campaigns target prospective migrants before they leave their countries of origin. They have also supported prosecution efforts targeting labour recruitment intermediaries in countries or districts of origin. Policy makers show greater interest in tackling human trafficking and forced labour when doing so does not disrupt power relationships in which they have a direct stake. However, policy makers proved more circumspect when it came to implementing labour laws in countries of destination, even where systemic labour abuses were well documented. Their resistance became more pronounced when implementation would affect the balance of power between employer and migrant worker, or contractor and migrant worker (e.g. support to freedom of association or collective bargaining, embodied in ILO Conventions Nos. 87 and 98, respectively). Likewise, policy makers in countries, states, or districts of origin regularly demonstrated concern for the abusive conditions faced by migrant workers in the countries of destination. When it came to addressing the reasons why migrants were leaving their homes, or regulating large-scale, formalised migrant facilitators, they were less enthusiastic. The overall result of this political economy of migration and anti-trafficking policy-making is that forced labour, however well documented, tends to be systemically ignored. Registered recruiters and intermediaries sometimes find themselves targeted by anti-trafficking interventions. It is far more likely, however, that informal labour recruitment intermediaries – often thought of as ‘unscrupulous middlemen’ – are on the sharp end of anti-trafficking policy. Finally, significant time and resources are spent on educational campaigns for migrant workers. In an environment of scarcity in quality employment, both employers and labourers tend to rely on labour intermediaries (e.g. contractors) to meet their needs. Pathways to jobs in domestic, garment, and other low-income sectors are thus not only shaped by the rules and practices governing migrant mobility, but are also joined together by a variety of agents and contractors. Forced labour, however well documented, tends to be systemically ignored. The fluidity and segmentation of labour supply chains is such that none of the key stakeholders – e.g. labourers, labour recruiters, regulators, and employers – can guarantee on their own a fair migration outcome for any worker. If working conditions are poor, each stakeholder in the recruitment process has a vested interest not to volunteer information that could make the migrant worker change her mind. The more intermediaries that are involved in the recruitment process, the more likely it is that they will omit information if not outright misinform migrants about working conditions. This leads many workers to claim they were deceived during the recruitment process, yet each individual link in the chain is often able to plausibly deny this charge. * Work in Freedom is an integrated development cooperation programme aiming to reduce vulnerability to trafficking and forced labour of women migrating to garment and domestic work. The programme is funded by UK Aid. The view reflected in this article do not reflect the views of UK Government.